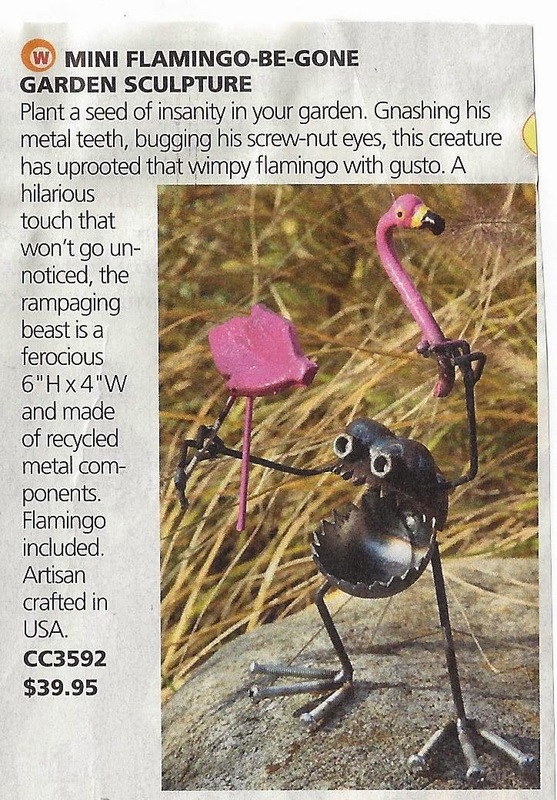 Last week was Earth Day so we're mentioning something we saw repurposed. 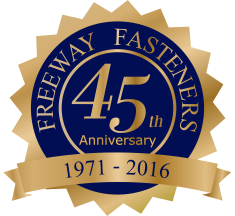 They aren't fasteners but they sort of look like them, right? The site where I found them says they are old truck springs but they remind me of flat head machine screws. 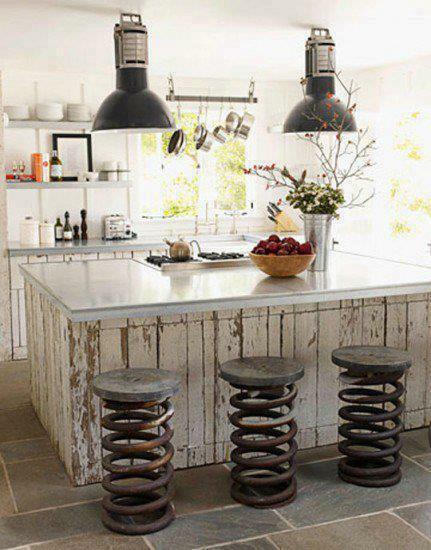 I would love stools like this. Found this at House Beautiful. Read the whole article because they repurposed SO MANY things in so many ways in this house, it was really surprising and super interesting. Remember the one we posted about the Garden Gnome, now we found this one! It really is a hilarious touch perfect for my garden. We didn't include Australia in our month of international fun so we're mention that fantastic island now. Did you know there is a whole Wikipedia page dedicated to something called Australia's Big Things? It's true! "The big things of Australia are a loosely related set of large structures, some of which are novelty architecture and some are sculptures. 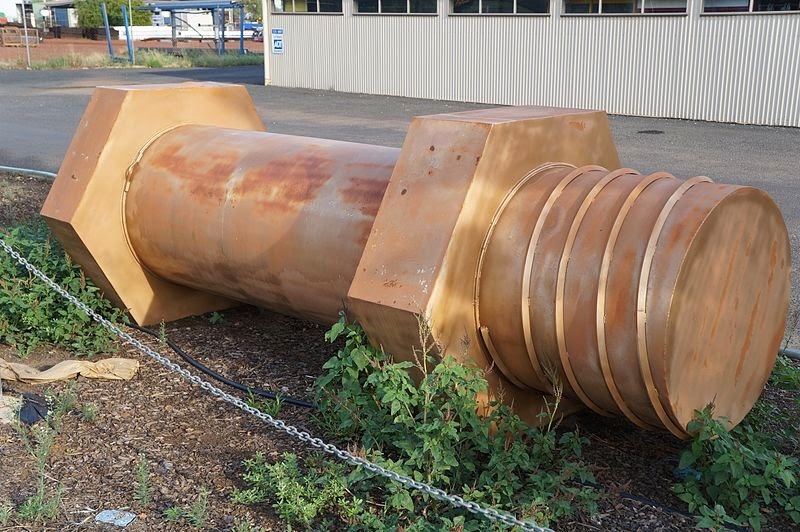 There are estimated to be over 150 such objects around the country, the first being the Big Scotsman in Medindie, Adelaide, which was built in 1963. 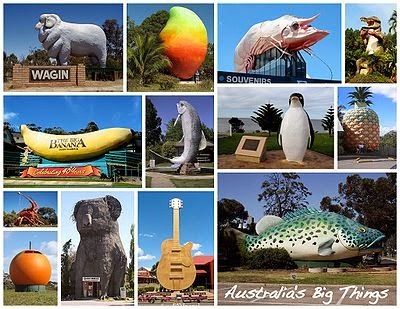 Every state in Australia has at least one of the big things. Most big things began as tourist traps found along major roads between destinations. The big things have become something of a cult phenomenon, and are sometimes used as an excuse for a road trip, where many or all big things are visited and used as a backdrop to a group photograph. Many of the big things are considered works of folk art and have been heritage-listed." Here is a postcard from Australia depicting a few. There's a mango, a penguin, guitar, pineapple - of course a koala. If you scroll down the wiki page a bit, through all the funny BIG things, you'll find this beauty. I want a group photo in front of it!!!!! We've mentioned Australia before, it was big too, do you remember this post? Found something called XY that helps you keep track of your stuff by putting a tag on the things you often misplace. Simply place a tag on each item you don't want to lose and the tag sends a signal to your phone or tablet. When the tagged item gets too far away from you it sends you a message letting you know you left it behind. Or if you wonder where it is, you can just look it up! Great idea. And what shape did they choose to make the symbol of their great idea - the HEX. I don't know if you noticed but this company doesn't actually exist yet. But it will thanks to their Kickstarter Campaign. Click the image above if you want to help and contribute to this great idea - you only have 17 days left. And below is the video to see exactly how it works and who are the people making it. Good luck to the XY team!